Basic custom imprint setup & PDF proof included! 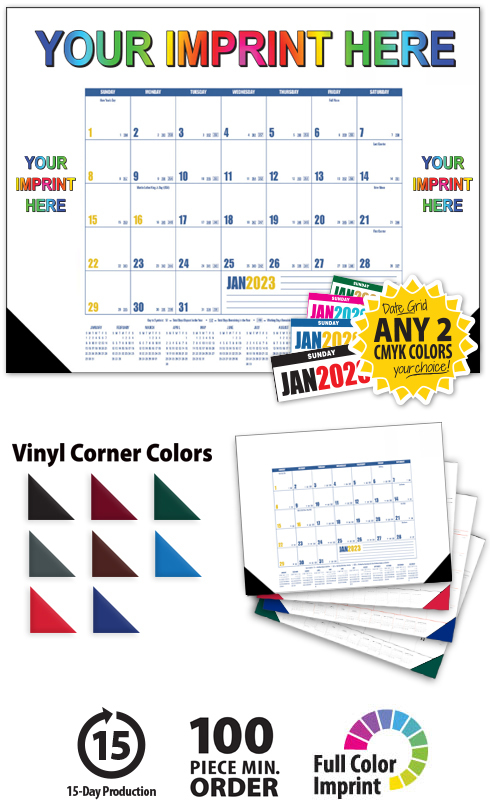 This calendar grid (C) features your full color top imprint, plus imprint areas on the left and right sides to be customized with your advertising and information. The perfect desk pad keeps a customer's name in front of potential clients on a daily basis. The included vinyl corners provide an attractive frame and durability. 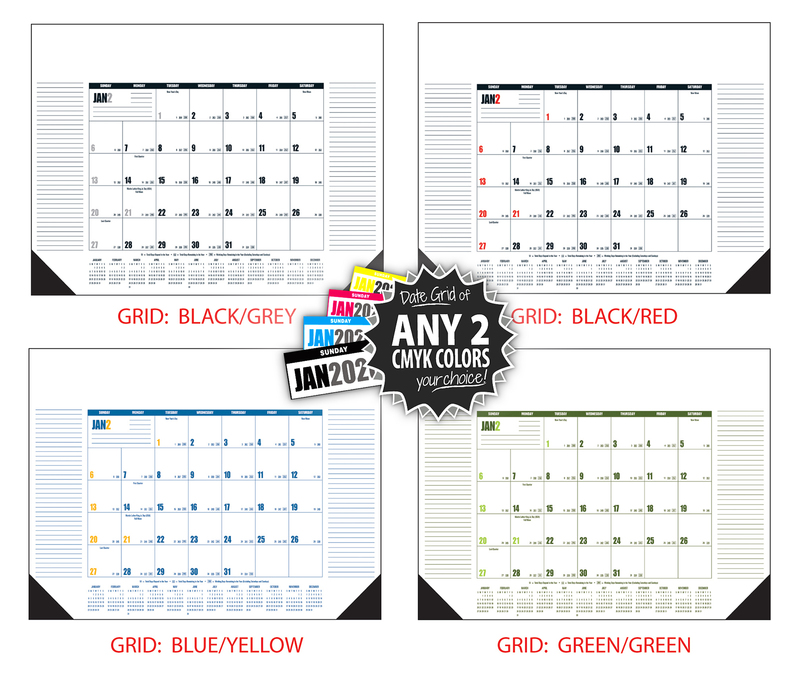 The 2-color date grid is made of any 2-colors, all colors out of four-color process (CMYK), no additional charge. 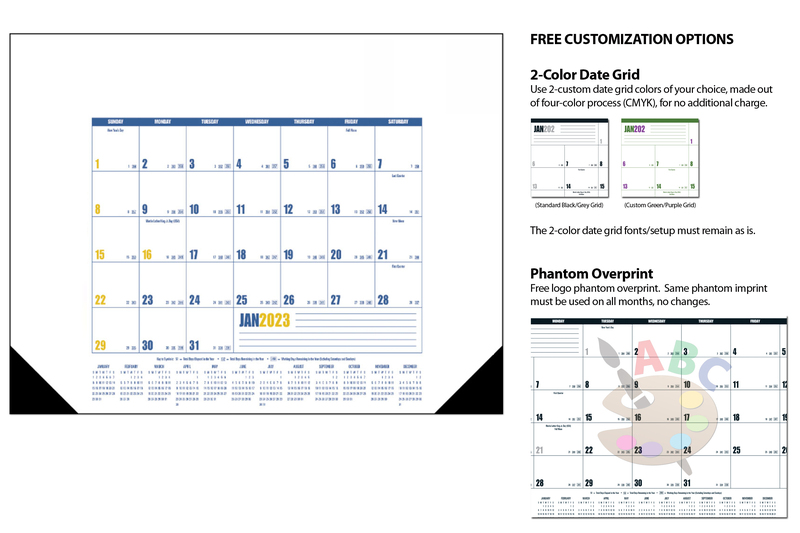 The 2-color date grid fonts/setup must remain as is.